You are no doubt aware that C.S. Lewis’ The Lion, The Witch, And The Wardrobe is one of the most beloved and successful children’s fantasy books in history. But have you ever wondered what inspired Lewis to write the story? Well it’s a question that has been answered in the book, Of Other Worlds: Essays And Stories, a posthumously published anthology of essays and unpublished stories by Lewis. Hello people! Please check out my review of the urban fantasy novel, King Maker, by Maurice Broaddus. The review originally appeared on my soon-to-be defunct book blog, Another World, but I’ve given it another lease of life at its new home on my official website. 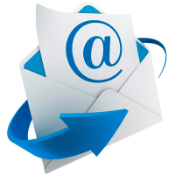 Recent years have brought about a growing trend which has seen the publication of numerous re-tellings/re-imaginings of classic works of fiction. Whether it be the reworking of popular children’s fairy tales into more “grown up” paranormal tales, or unconventional “mash-ups” blending horror with Victorian literature in the vein of Austen and the Bronte sisters, there has been several interesting, albeit not particularly good books written. The end of the year is upon us, and it’s time to take a look back at what turned out to be my most productive reading year for over a decade. Having set myself a modest target of ten books to read in 2018, I surpassed that goal by reading a total of twenty-seven books. To mark that achievement I am hereby going to share with you the best of these books that I read because, much to my surprise, I had the pleasure of reading five novels that I awarded 5 star ratings to. That many 5 star reads in a single year is unheard of for me. 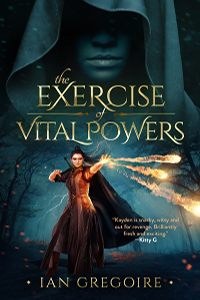 Please check out this new review for The Exercise Of Vital Powers, posted on Nana’s Fantastical Reads. By now you should all be aware that the re-release of my debut novel, The Exercise Of Vital Powers, was last week, Monday. You should also have noted the most readily apparent difference between the first and second editions of the book: the cover artwork. Once I had decided to move ahead with a revised second edition, I knew that the book’s outer appearance would be the most crucial factor in improving its fortunes over its predecessor―even more so than the editing. This post will give you a little insight into my thought processes when it came to the design of the new cover. The Cover Reveal Of The Year??? So, it’s two days after the cover reveal for the second edition of my first novel, The Exercise Of Vital Powers, and I have to say it went better than I hoped. The response to the new artwork was overwhelmingly positive, and I received lots of good feedback. Now, whether that will ultimately translate to interest in actually buying and reading the book in July remains to be seen, though I’m taking it for granted that the second edition will easily outsell the first.